Why should I use a mattress topper? A mattress topper is a removable thin mattress-like layer that is put over the top of your ordinary mattress for an added comfort boost, which can often make an older mattress feel brand new. The goal of these toppers is to enhance the current feel of your mattress, or to rectify any shortfalls it has, so that you can wake up feeling fresh and well-rested each day. Originally these were made from egg crate foam or feathers, but the most popular designs nowadays are the memory foam toppers, which can help to accommodate restless sleepers, as well as adjusting to your preferred sleeping position (learn more in our guide to memory foam). We've got lots of advice to help you choose the best mattress topper for you. There are many benefits to using a mattress topper, ranging from comfort to hygiene and price. Add an extra comfort level: Mattress toppers can transform an uncomfortable mattress by adding a layer of padding to your bed which you can sink into and be comforted by as you settle down to sleep. However, be aware that sinking into these too much can cause misalignment issues and give you back and joint pain. Increase mattress longevity: Your mattress has plenty to deal with while trying to support you as you sleep: we perspire; shed skin; and toss and turn, causing a reshuffle in the mattress structure. All of this can take its toll on your mattress, so it can be helpful to have a mattress topper acting as an extra barrier between your body and the mattress. Hygienic: Mattress toppers are now so popular that they have been developed to maintain a high cleanliness level by absorbing perspiration, dust and other debris so it doesn’t go through to your mattress. Plus, there are now opportunities to shop for mattress toppers that generate more efficient air circulation, so your skin can breathe easier at night. All of this is especially important if you suffer from allergies, or any sensitive skin or breathing issue which requires a clean and fresh environment. And, as these can be washed (check the care label before machine washing) you can be sure that they are both a comfortable and hygienic option. Just take care not to wash your mattress topper too often — we recommend you do this around every 6–12 months and to store them in a breathable bag once cleaned to shield it from dust. Save money: Although you should never use a mattress topper to replace a broken or worn mattress, they are a more cost-effective way of making your bed feel more comfortable without having to buy a new mattress altogether. 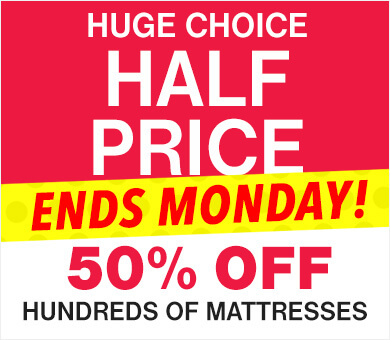 If it is time to replace your mattress, we have a wide range of mattresses to suit every sleeper, including rolled, hybrid, latex and memory foam mattresses. Read our mattress buying guide to find the right one for you. Alleviates aches and pains: Mattress toppers are effective in relieving ailments such as back or joint pain and can also lend protective support to an assortment of different sleepers. They can also improve your sleeping position, which makes it easier to recover from exercise. 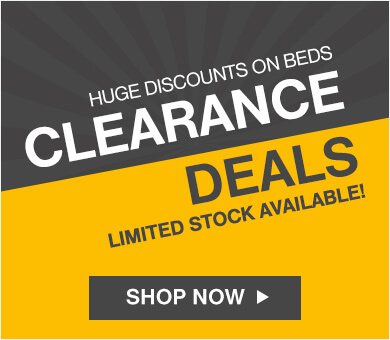 So, if you want to reap any of the benefits above, why not browse our range of mattress toppers? 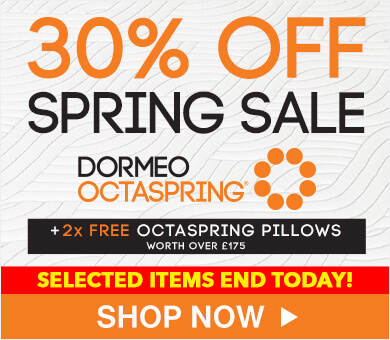 We have options to suit a range of sleepers, including our Dormeo Renew and Octaspring mattress toppers — all of which are made from pure luxury memory foam to provide you with a serene sleeping situation. Read on for tips on choosing the best mattress topper for you. With the bedding market so expansive, it can be difficult to know which is the best mattress topper out there and what to look for when it comes to buying one. And, it’s key to remember that one person’s ideal might not be the right one for you. There are a range of options to pick from that will suit different sleeping positions and will support those with back or joint problems. Memory foam or latex: These options will mould to your body shape and support all of the key points such as your neck, which can have a direct impact on your spinal configuration to reduce back pain. The density: If you’ve got existing back problems, you should never opt for a mattress topper with a density of anything less than 4–5 pounds per cubic foot, as this won’t provide you with enough support in the long run. The thickness: In terms of thickness, the thicker the better for memory foam toppers. We would recommend going for a depth of at least 3–5cm to ensure your back is getting enough support. Your mattress: Historically, it was believed that an ultra-firm mattress was the best option. However, a topper or mattress that is too soft or hard can emphasise back pain much more. We recommend assessing your mattress itself before choosing a topper: a mattress that is fairly soft will need a firmer topper, whereas a mattress that is firm will need softening up with a spongey topper. For a back sleeper, we would recommend a mattress topper like our Dormeo Renew Mattress Topper. It has a depth of 3.5cm which is at the lower end of the recommended limit, but its medium/soft comfort grade ensures it will be suitable for balancing out many mattresses. But, be aware that back pain can be a complex issue to solve and is different for everyone, so for more information we recommend checking out our guide to choosing the best mattress for a bad back. It assesses the potential causes of your back pain as well as exploring mattress options that can support this when a mattress topper won’t be enough on its own. The thickness: Side sleepers generally don’t feel comfortable sleeping on thin mattresses due to the lack of padding, so we recommend choosing a thick topper to keep your spine as aligned as possible. Similarly to those with back pain, a side sleeper should look for a depth of around 7cm, which usually means the best toppers are quite dense as well. The pressure relief: To ensure your spine is aligned correctly and you’re alleviating the pressure from your hips and shoulders, the pressure relief on your mattress topper needs to be good. To determine this, you need to ensure you’re not sinking too deeply into your bed as this can be a recipe for disaster. We recommend choosing a medium-soft mattress topper as it’ll take away this pressure and ensure your spine is in good alignment. The density: This is the way that the firmness is calculated and is usually rated by manufacturers on a scale of 1–10, 1 being soft and 10 being firm. For a side sleeper looking for a medium-soft mattress topper, you should be looking for around a 4 on the scale. Memory foam or latex: Side sleepers should prioritise memory foam or latex mattress toppers as these will be durable enough to support your body weight. These materials can even help pelvic rotation as these softer foams conform to your body shape and encourage straightening of the spine. For side sleepers, we recommend our Octaspring Body Zone Mattress Topper. It has a perfect supportive depth of 7cm and works to target 5 body areas including your head, torso, shoulders and legs. So, you can relieve the pressure that side sleeping can create. Memory foam or latex: These softer and malleable mattress toppers will support the full weight of your body that front sleeping typically brings. These types of topper will cradle your body and ensure you’re not sinking too far into the bed, as this can cause misalignment problems. The pressure relief: A mattress topper that can alleviate pressure off your torso will ensure your spine is arched the right amount to prevent back pain. We recommend that your bed feels medium-firm overall, whether that means you choose a soft mattress and a firmer topper, or vice versa. The thickness: The thickness should be chosen in consideration with the amount of pain relief you’re expecting to get. But if you’re struggling to assess this, generally stomach sleepers should be opting for between a 1–2-inch thickness as this can strike the right balance between softening up a firm mattress or firming up a softer one. The density: Typically, a medium or medium-firm mattress bed will be most comfortable for side sleepers. This means you should be choosing a mattress topper that will fall between rating 4–7 on the firmness scale depending on the feel of your mattress itself. However, those who are a bit heavier than average may want to choose a firmer mattress topper. For stomach sleepers, we would recommend our Octasmart Plus Mattress Topper or our Octaspring Body Zone Mattress Topper. They both have a medium comfort grade that will fit the density requirements that front sleepers need. Plus, as they both have a memory foam layer, you can be sure your body will be supported just the right amount. Memory foam or latex: As with all other sleeping positions, memory foam and latex have the ability to support back sleepers who distribute their weight through a larger surface area. The thickness: We recommend choosing mattress toppers that are between 2–3 inches thick as this will ensure you don’t sink too far into the bed, which could otherwise misalign your spine and cause back pain. The density: The amount you weigh can dictate how dense your mattress topper should be as a back sleeper. For average weight sleepers, they should choose a medium–firm feel, whereas lighter people will want to choose slightly softer toppers while heavier people should pick a firmer topper. 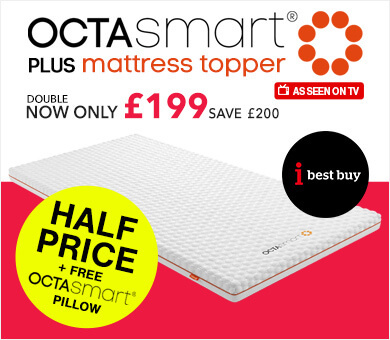 For back sleepers, we recommend opting for either our Octasmart Plus Mattress Topper or our Octaspring Body Zone Mattress Topper. 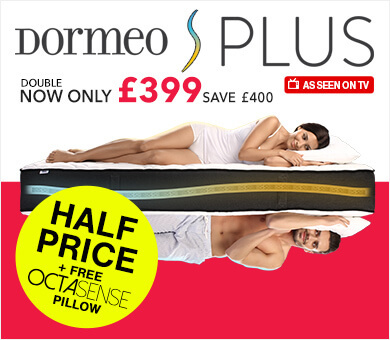 They both have a depth of 7cm so will be perfect for supporting your back while you sleep. However, if you’re after something less thick, the Dormeo Renew Plus Mattress Topper will be a happy medium for you to sink into. Mattress toppers can take your bed from old and tired to heavenly comfortable. With a range of options to suit sleepers of all preferences and a price lower than mattress replacement, they’re well worth giving a go. 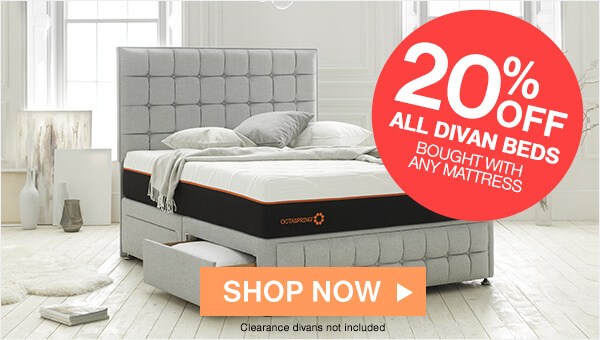 Here at Dormeo, we have plenty of cosy bedding to choose from including memory foam mattress toppers to give you the ultimate comfort boost. 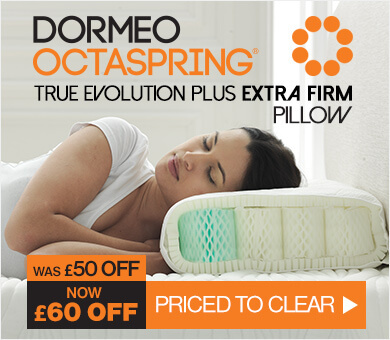 There are different levels of firmness to choose from, so you’re sure to find one to suit your sleeping position. For an ultra-tranquil sleep, we recommend teaming them with one of our mattresses — we’re so certain you’ll love them that we offer a 60-night comfort guarantee. If you’d like to know more about any of our products, please don’t hesitate to contact us. Or, browse our other guides and FAQs and our sleep blog for advice on all things sleep-related.